GrabHitch skyrocketing demand! Never a better time to refer your friends and create your routes!! 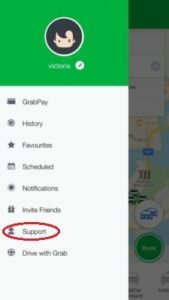 Calling all GrabHitch drivers! Thank you for participating in our efforts to help make GrabHitch work! One of the points you have told us is that you want more passengers along the way! Hence, we are offering rides to passengers (don’t worry you are still paid the full fare in your driver wallet!) on Friday, 22nd July! Expect DEMAND to go through the roof! To help you save more on your costs, we are also topping up an additional $1.00 on top of every GrabHitch ride you complete during the course of the day. Want an even better way to sweeten the deal? What better way then to share the deal with a friend? 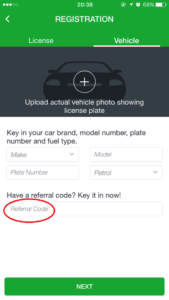 Simply ask them to key in “HITCHMEUP” in the referral code section ,when they sign up today and they will receive an additional $10.00 cash when they complete 2 rides on Friday!